In my case Node.js v6 got installed which is the LTS (Long Term Support). Currently the latest available node.js is v9, and latest LTS is node.js v8. 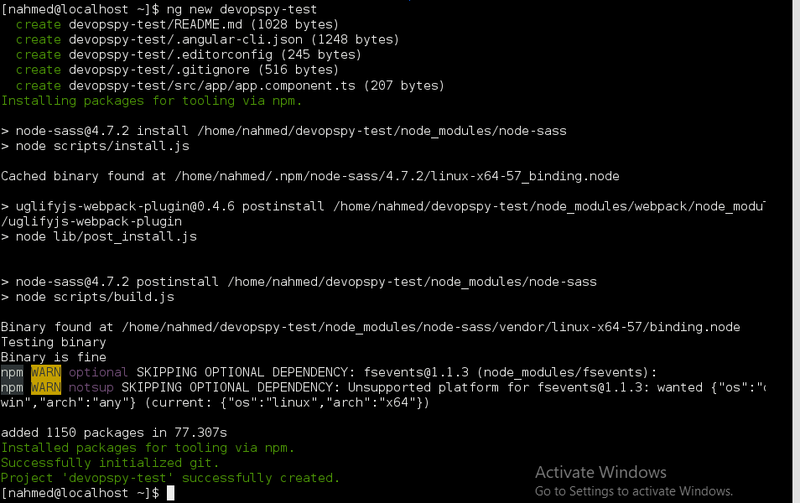 if you have recently run the ‘yum update’ you may get the node.js v8 installed. For installing the latest node.js v9, use the following steps – can remove the previously installed node.js using ‘sudo yum -y remove nodejs’. Installing Angular manually was cubersome, but thanks to the development team for introducing the Angular CLI. Angular CLI jumpstarts the development with Angular, it’s a mere command-line interface allowing users, from creating to deploying an Angular application. Once installed angular-cli provides a command-line utility ‘ng‘ to handle anything related to angular. The following command generates the project structure, with pre-configured files for unit tests and bundling with the powerful Webpack bundler.